A benefit cheat illegally claimed over £3,000 in housing benefit after he failed to inform the authorities that he had been given an increase in his earnings. Chesterfield magistrates’ court heard on Wednesday, February 1, how Michael Yates, 46, formerly of Drydon Avenue, Chesterfield, illegally received £3,165.82 in overpaid housing benefit after he had started working more hours and earning more money. 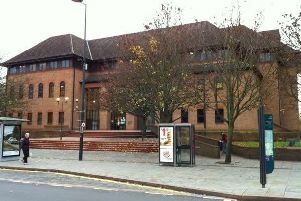 Prosecuting solicitor Lynn Bickley said: “The defendant was entitled to claim housing benefit on the grounds of a lack of earnings, however it came to the attention of an investigating officer from the Department for Work and Pensions that the defendant’s earnings increased in October, 2014, and he failed to notify a change of circumstances and he was overpaid housing benefit by £3,165.82. Yates, now of No Fixed Abode, pleaded guilty to dishonestly failing to notify Chesterfield Borough Council of a change of circumstances affecting entitlement to housing benefit because earnings from work had increased. The offence related to dates between October 6, 2014, and November 9, 2015. Defence solicitor Julie Page said Yates attended a police station regarding other matters and was told a warrant had been put out for his arrest and he was kept in custody until the court hearing. Ms Page said that in 2012 he properly claimed benefit when he was working for Domino’s pizzas but when the franchise was taken over in 2014 his hours increased and he failed to inform Chesterfield Borough Council. She added that stress with domestic and family issues led to the breakdown of his relationship and he ended up being homeless and living with friends and in his car. The court heard that Yates no longer works for Domino’s but has got a new job with a building products firm. Magistrates sentenced Yates to a 12 month community order with 150 hours’ unpaid work. He must also pay an £85 victim surcharge and £85 costs.